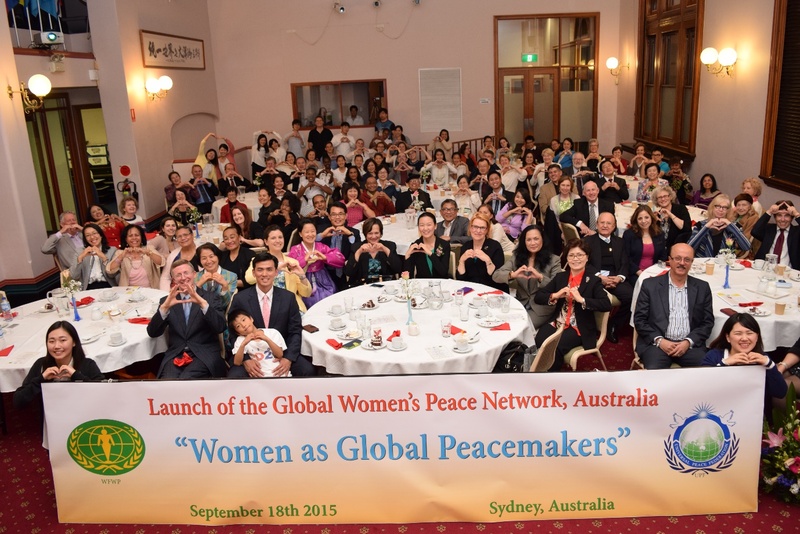 By WFWP Australia, September 18th, 2015, Sydney: On Friday, September 18, 2015, the launch of the Global Women’s Peace Network in Australia was held at the Oceania Peace Embassy. 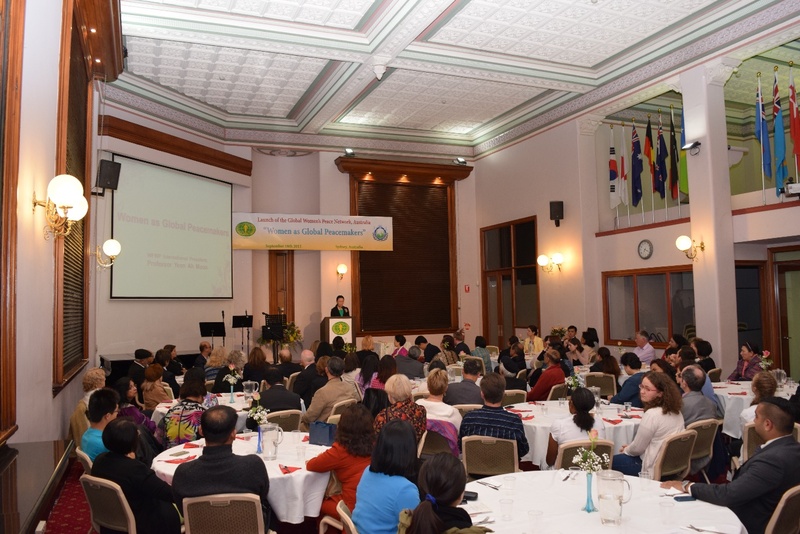 It was organized by WFWP and co-sponsored by UPF and the South Pacific Islands Foundation. 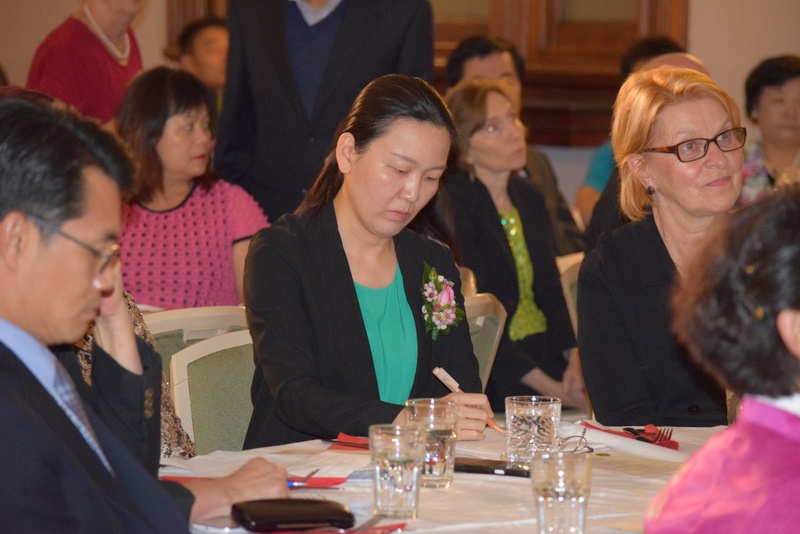 About 110 people were present at the event, including WFWP contacts, new guests, ambassadors for peace and members. 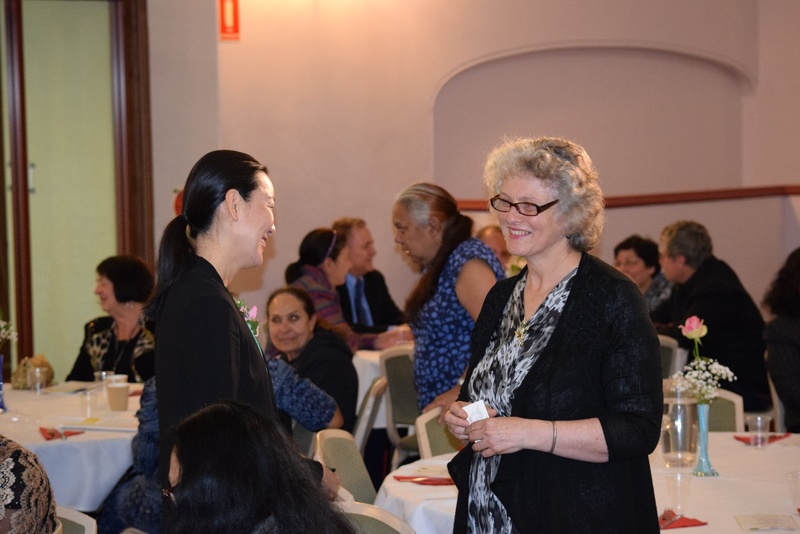 The evening program began with a welcome by MC Natascha Schellen. 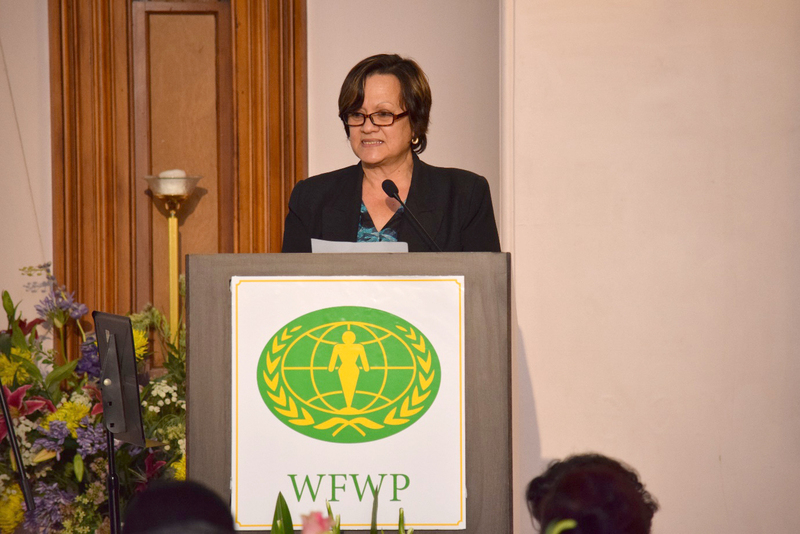 After a welcome to country by Auntie Jenny, an aboriginal elder, and a didgeridoo performance, WFWP Australia President Anne Bellavance introduced WFWP’s mission and the different related activities happening here in Oceania. 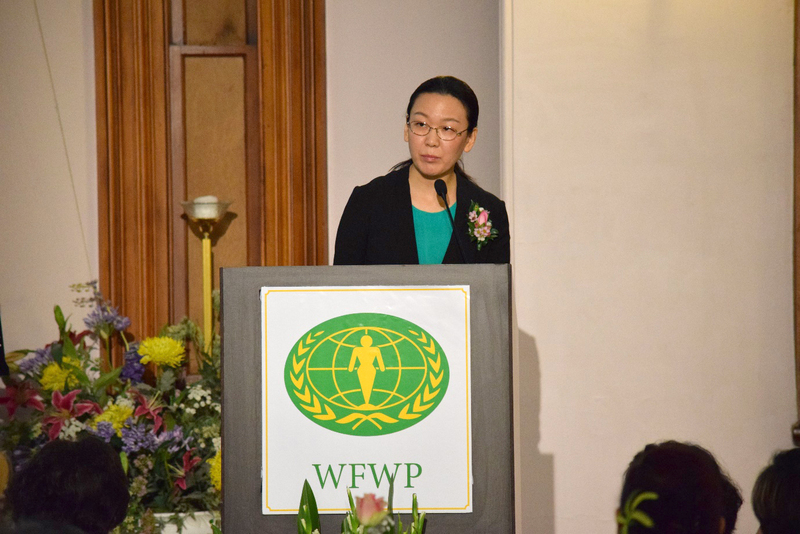 Following her presentation, Anne introduced and welcomed up Professor Yeon Ah Moon, International President of the WFWP, who gave a speech on “Women as Global Peacemakers.” She shared about the vision behind the GWPN as well as the words of the co-founder Dr Hak Ja Han Moon on the GWPN launch in Korea in 2012. Once Professor Moon concluded her speech, the WFWP representatives were invited up for the cake cutting ceremony. 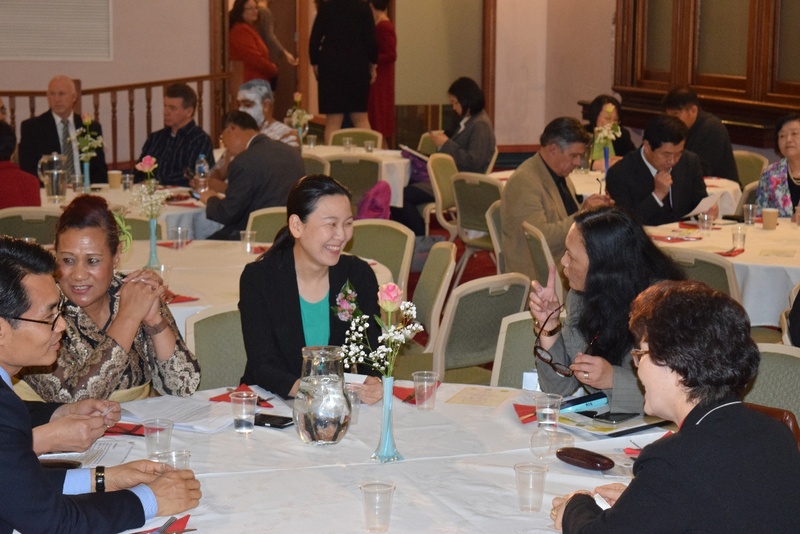 After this, dinner was served and the guests were entertained with a flute performance throughout the dinner. 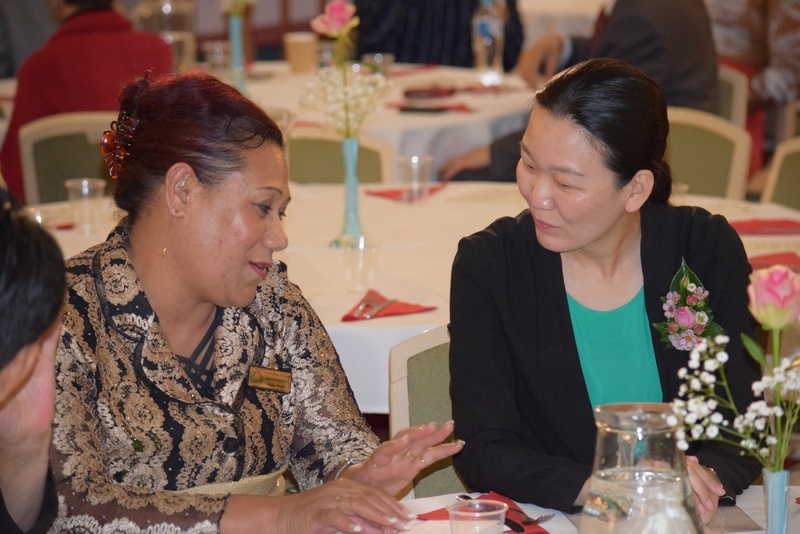 The president of the Indonesian Women’s Association gave congratulatory remarks during dessert, followed by remarks given by a representative of the Tongan Women’s Association and a member of the Fairfield Council also representative of Cook Island Christian community in Sydney gave strong encouragements to work together as women of faith. 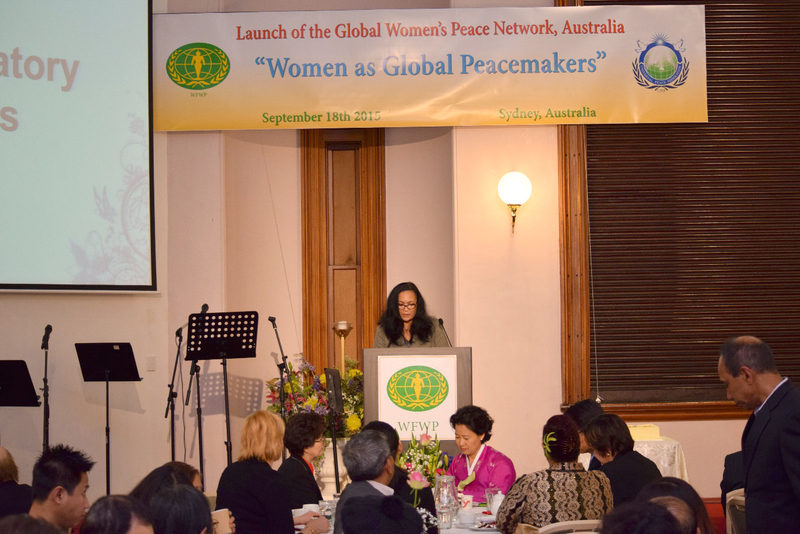 Each spoke with sincerity and a passion to work together to empower women and bring peace. 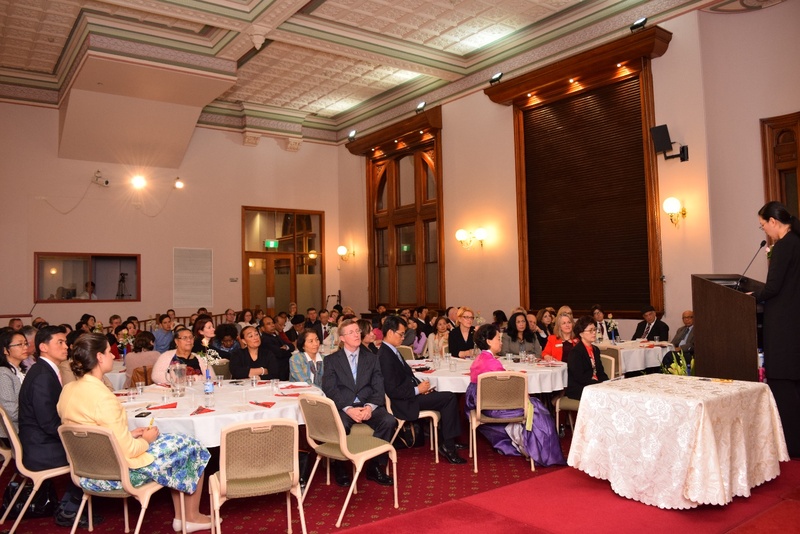 The evening came to a close as the Japanese Ladies Choir performed two songs. Everyone was asked to stand up and join in song during the final song, “Let There be Peace on Earth”. The president of the NSW Chapter of WFWP, Aila Willitts, gave her closing remarks and the evening finished with a group photo.